How do I add users to my Business Account? Fill in the text fields, and make the needed selections for the user you are creating. 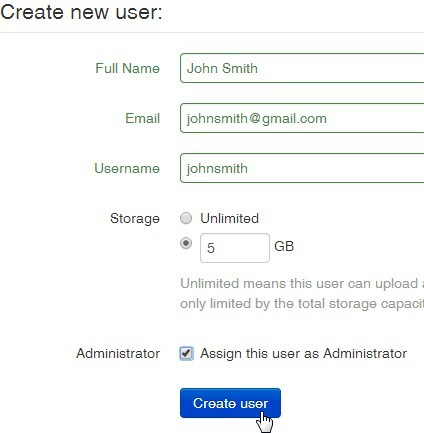 You can set how much storage space the new user has available, and you can also give the new user Admin privileges (there can be several Admins on the same business account). The newly registered user will receive a "Welcome" e-mail, and they will be asked to follow a link in the e-mail to generate their personal password.